I'm a visual art teacher, going on my fifteenth year of teaching. I teach students to think beyond the project, create individual and creative pieces through Drawing, Painting, Printmaking, Ceramics, Book Arts, Design Thinking, Advanced Conceptual Art, and the AP Studio Art curriculum. Amanda is both an artist and a National Board Certified Visual Art educator (NBCT) K-12th, in Seattle. She currently works at Seattle Academy of Arts and Sciences (SAAS). She has taught Elementary art through High School art in Painting, Printmaking, Drawing, Ceramics, Book Arts, Design thinking, Advanced Placement Studio Art, International Baccalaureate Art, and Technology. Amanda graduated with a BFA in Fine Arts, Psychology and Secondary Education from Drury University in Missouri. She received her Master’s degree in Integrating Arts and Performance Learning Education from City University of Seattle. She enjoys watching her students grow creatively and believes that every student can learn how to see the world differently through creating art. 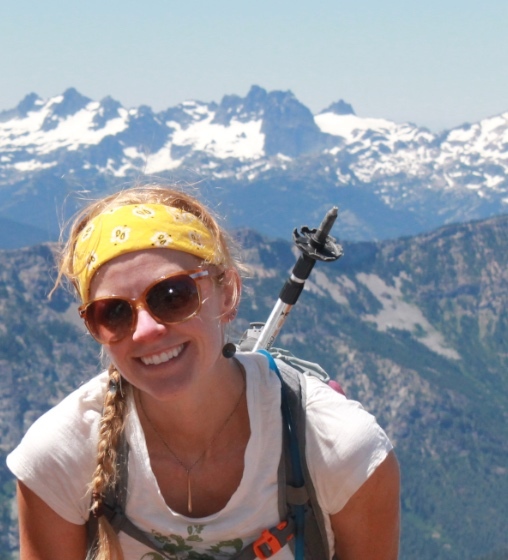 She grew up in southwest Missouri's Ozarks and moved to the Pacific Northwest in 2004 where she has been actively exploring its mountains, waterways, and cities since. Her love of travel has taken her to many places such as Central and South America, Scandinavia, Western Europe, Australia, New Zealand, the Fiji Islands, Japan, Korea, and Canada. She plans trips with students every other year, broadening their education and experiences. Her artwork employs layers of printmaking, sewing and mark making, using mixed media and other found materials.